This post is on the charm and beauty of Ireland, a place that I hope to someday have the chance to visit! Ireland is also known as the Emerald Isle, and this is a country that is bursting with intense natural beauty. Last minute package holidays are perfect if you want to achieve a worthwhile vacation that has everything you need to relax, unwind, and basically getaway from stressful commitments. This is a great place to explore independently with a rental car. These enchanting hills are situated on the outskirts of the town of Wicklow, which is just a short drive to the south of the city of Dublin. 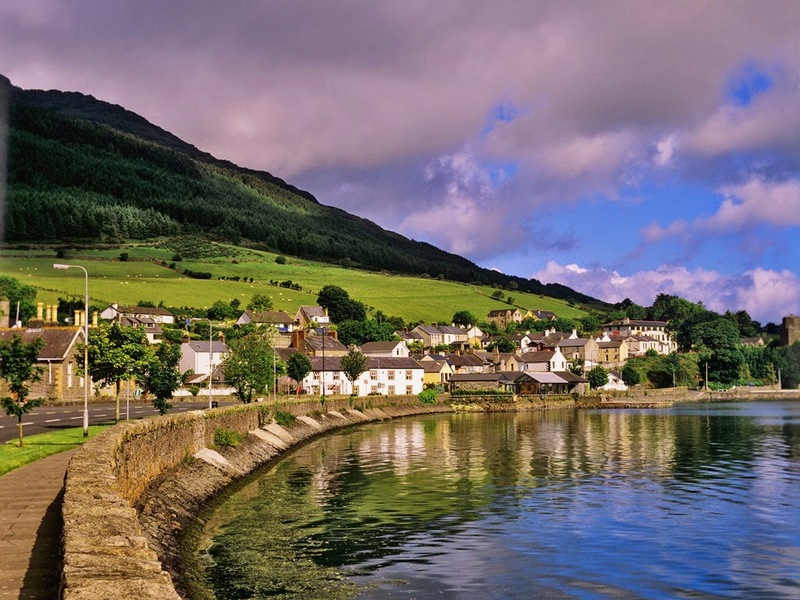 Wicklow is also surrounded by other enchanting features such as gorgeous sandy beaches and this makes a great place to use as a base while exploring Ireland’s natural attractions. This area of intense natural beauty is just waiting to be explored by nature lovers. West Cork can be found in Southwest Ireland and boasts a long stretch of coastline that is scattered with beautiful sandy beaches as well as traditional Irish towns and villages. Among the many highlights here are the tiny island of Cape Clear, the coastal village of Crosshaven and the wild peninsula of Beara. These three small islands are situated off the coast of County Galway and are sure to appeal to people who have a strong sense of adventure. The largest of these islands is Inishmore, which is just twelve kilometres long and three kilometres wide. Although these islands are barren and rocky, they offer some of the most scenic views in the whole of Ireland and can be reached by taking a ferry from Ros an Mhil. This part of Ireland is famous for its excellent beaches and is a popular destination among sun worshippers. County Donegal can be found in Northwest Ireland and most of the picturesque stretches of sand here are virtually untouched by tourism. The Finn Valley is a great place to explore independently, while a number of pretty islands can also be found just off the coast including Tory Island and Arranmore Island. One of the great things about Ireland is that there is so much to see and do in this enchanting country. Irish people are generally warm and welcoming to visitors. Visitors who embark on a trip through this part of the world will also have plenty of time to immerse themselves in the charming Irish culture. This post is brought to you in collaboration with one of our partners. For her entire life, my mom dreamed of visiting Ireland, and she was lucky enough to have been able to get there not once but twice! Now it's on my bucket list. Thanks for this post, reminding me that dreams can come true. I've gone because I had former family there, the area they were in was not as pretty as this though. I have never been to Ireland, but I would love to visit. I agree, I think it is a place of great natural beauty. Thank you for sharing this review. this is one of my dream places to go. i would love to go sometime in the next few years if i could. it looks and sounds so beautiful! I had a layover at Shannon airport so I at least got to touch Irish soil. That's the closest I've come. Would like to go back. That's beautiful. I'd love to visit Ireland. I have a friend who is from Ireland and she has described it in detail. I've heard that its green every where you look. Judging by the picture and the way she described it to me, its a place I would love to see. I have always wanted to go here, it is gorgeous.